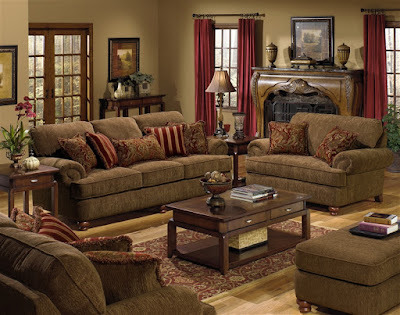 The Belmont Collection by Jackson Furniture offers large family room traditional design with deep seating comfort. This group is upholstered in luxurious textured diamond motif chenille fabric available in two colors: Umber and Claret. The pieces feature versatile two toned decorative fringed pillows that match the accent reclining chair. Complete the seating arrangement in your home and enjoy the stylish and comfortable atmosphere created by this gorgeous Belmont Collection! The 2 Piece Set includes a Sofa and Loveseat. Matching Oversized Chair, Accent Reclining Chair, and Ottoman are available as an option. To view the entire Belmont Collection click here.